In 1966, the Laboratory Animal Welfare Act was signed into law. This Act set minimum standards of care and housing for dogs, cats, primates, rabbits, hamsters and guinea pigs on the premises of animal dealers and laboratories and required identification of dogs and cats to prevent theft. Dealers were mandated to be licensed and laboratories registered. The Act was amended in 1970, was renamed the Animal Welfare Act. Further amendments in 1970, 1976, 1985 and 1990 included a title change to the Animal Welfare Act and included all warm-blooded animals, imposed age limitations, added carriers, intermediate handlers, animal brokers, auctions, governmental agencies, and added veterinary certificates, investigations and penalties. In 2002, Senator Jessie Helms (R-NC) inserted a rider on a spending bill at the behest of the National Association for Biomedical Research to specifically exclude rats, mice and birds which are reported to be 95 percent of research animals. The Act is enforced by a division of the United States Department of Agriculture (USDA), Animal Plant Health Inspection Service (APHIS), Animal Care. ​North Carolina animal officers do not investigate or enforce the Animal Welfare Act as it is within federal jurisdiction. There are several other United States Codes applicable to animals. Codes specific to animals can be found in Title 7, Title 15, Title 18 and Title 54 for further reading for those interested in our federal laws. The North Carolina Animal Welfare Act (NCAWA) was enacted in 1978 with the intent to supplement the Federal Animal Welfare Act in regulating private animal facilities. No funding was allocated for the NCAWA and it was enforced part time by livestock inspectors to inspect pet shops dealers, boarding facilities and private animal shelters when their agricultural duties allowed. Governmental facilities were not regulated until 2005. Euthanasia standards, the broadening of the animal classifications and mandated regulations were also imposed. The Act added new section of the Veterinary Health Division of the NC Department of Agriculture (now the NC Department of Agriculture & Consumer Services NCDA&CS), the Animal Welfare Division. ​The statutory Animal Welfare Act is found in the Animal Welfare chapter of your manual. The Act provides definitions, inspection and enforcement authorities, licenses, registrations and euthanasia. prohibit the sale, trade or adoption of those animals which show physical signs of infection, communicable disease, or congenital abnormalities, unless veterinary care is assured subsequent to sale, trade or adoption. The purposes of the act have not changed since its inception. The NCAWA applies only to dogs and cats. As animal shelters adopt (sell) dogs and cats, these animals are considered to be items of commerce. Humane care of animals is described and regulated by the NC Administrative Code, commonly referred to as regulations. The NCAWA regulations will be discussed in this section. Animals with infections, abnormalities or communicable diseases are often sold, or adopted from animal shelters. Assurance of veterinary care is typically contained in an animal adoption contract agreement wherein the new owner agrees to provide veterinary care. ​Congenital: A disease or condition that is present at birth, either hereditary or acquired. ​Cleft Palate: A common congenital abnormality in dogs and cats. ​​Polydactyly: A common congenital abnormality in cats. This condition typically does not present severe health risks. §19A‑39. Article inapplicable to establishments for training hunting dogs. Veterinarians, hunting dog establishments and private individuals who board dogs and cats on occasion and those who breed 5 or fewer female dogs a year are exempt. If dogs are bred for the purpose of research they are regulated as dealers by Federal AWA and exempt (if licensed) by the NCAWA. Pet shops, public auctions, commercial kennels or research facilities licensed by APHIS are also exempt. It is a common misconception by many that the NCAWA applies to all animals and all facilities. Although certain individuals and activities may be exempt from the NCAWA, other legislation applies. Rabies vaccination, animal cruelty and local ordinance regulations (if not exempted) are applicable. §19A-24. Powers of Board of Agriculture. The NCAWA regulations are discussed after our review of statutory law. The regulations further define the definitions below and provide procedural guidelines. (1) "Adequate feed" means the provision at suitable intervals, not to exceed 24 hours, of a quantity of wholesome foodstuff suitable for the species and age, sufficient to maintain a reasonable level of nutrition in each animal. Such foodstuff shall be served in a sanitized receptacle, dish, or container. (2) "Adequate water" means a constant access to a supply of clean, fresh, potable water provided in a sanitary manner or provided at suitable intervals for the species and not to exceed 24 hours at any interval. (3) "Ambient temperature" means the temperature surrounding the animal. (4) "Animal" means any domestic dog (Canis familiaris), or domestic cat (Felis domestica). (5) "Animal shelter" means a facility which is used to house or contain seized, stray, homeless, quarantined, abandoned or unwanted animals and which is under contract with, owned, operated, or maintained by a county, city, town, or other municipality, or by a duly incorporated humane society, animal welfare society, society for the prevention of cruelty to animals, or other nonprofit organization devoted to the welfare, protection, rehabilitation, or humane treatment of animals. (5a) “Approved foster care provider" means an individual, nonprofit corporation, or association that cares for stray animals that has been favorably assessed by the operator of the animal shelter through the application of written standards. (5b) “Approved rescue organization" means a nonprofit corporation or association that cares for stray animals that has been favorably assessed by the operator of the animal shelter through the application of written standards. (5c) "Boarding kennel" means a facility or establishment which regularly offers to the public the service of boarding dogs or cats or both for a fee. Such a facility or establishment may, in addition to providing shelter, food and water, offer grooming or other services for dogs and/or cats. (6) "Commissioner" means the Commissioner of Agriculture of the State of North Carolina. (7) "Dealer" means any person who sells, exchanges, or donates, or offers to sell, exchange, or donate animals to another dealer, pet shop, or research facility; provided, however, that an individual who breeds and raises on his own premises no more than the offspring of five canine or feline females per year, unless bred and raised specifically for research purposes shall not be considered to be a dealer for the purposes of this Article. (8) "Director" means the Director of the Animal Welfare Section of the Animal Health Division of the Department of Agriculture and Consumer Services. (9) "Euthanasia" means the humane destruction of an animal accomplished by a method that involves rapid unconsciousness and immediate death or by a method that involves anesthesia, produced by an agent which causes painless loss of consciousness, and death during such loss of consciousness. (10) "Housing facility" means any room, building, or area used to contain a primary enclosure or enclosures. (11) "Person" means any individual, partnership, firm, joint‑stock company, corporation, association, trust, estate, or other legal entity. (12) "Pet shop" means a person or establishment that acquires for the purposes of resale animals bred by others whether as owner, agent, or on consignment, and that sells, trades or offers to sell or trade such animals to the general public at retail or wholesale. (13) "Primary enclosure" means any structure used to immediately restrict an animal or animals to a limited amount of space, such as a room, pen, cage compartment or hutch. (14) "Public auction" means any place or location where dogs or cats are sold at auction to the highest bidder regardless of whether such dogs or cats are offered as individuals, as a group, or by weight. (15) "Research facility" means any place, laboratory, or institution at which scientific tests, experiments, or investigations involving the use of living animals are carried out, conducted, or attempted. (16) "Sanitize" means to make physically clean and to remove and destroy to a practical minimum, agents injurious to health. ​​§​19A‑32.1. Minimum holding period for animals in animal shelters; public viewing of animals in animal shelters; disposition of animals. (a) Except as otherwise provided in this section, all animals received by an animal shelter or by an agent of an animal shelter shall be held for a minimum holding period of 72 hours, or for any longer minimum period established by a board of county commissioners, prior to being euthanized or otherwise disposed of. Jurisdictions have the authority to determine longer animal holding periods. This can be accomplished through a local ordinance, resolution or agency policy. (1) The animal has been found by the operator of the shelter to be unadoptable due to injury or defects of health or temperament. (2) The animal is seriously ill or injured, in which case the animal may be euthanized before the expiration of the minimum holding period if the manager of the animal shelter determines, in writing, that it is appropriate to do so. The writing shall include the reason for the determination. If an animal is determined to be unadoptable due to injuries and illness, veterinary care must be provided and documented. (3) The animal is being held as evidence in a pending criminal case. Reasons for euthanasia, reason for adoptability and severe injury/illness or otherwise disposed before the 72 hour minimum etc., must be recorded. periods of time. If an animal shelter is open only 3 days a week, animals who are impounded at the last day of a business week may be missed. Shelters who adopt a policy of holding animals at least 3 open business days can avoid this. (c) Except as otherwise provided in this subsection, a person who comes to an animal shelter attempting to locate a lost pet is entitled to view every animal held at the shelter, subject to rules providing for such viewing during at least four hours a day, three days a week. If the shelter is housing animals that must be kept apart from the general public for health reasons, public safety concerns, or in order to preserve evidence for criminal proceedings, the shelter shall make reasonable arrangements that allow pet owners to determine whether their lost pets are among those animals. Reasonable arrangements may be a picture, video or a supervised viewing. (d) During the minimum holding period, an animal shelter may place an animal it is holding into foster care by transferring possession of the animal to an approved foster care provider, an approved rescue organization, or the person who found the animal. If an animal shelter transfers possession of an animal under this subsection, at least one photograph depicting the head and face of the animal shall be displayed at the shelter in a conspicuous location that is available to the general public during hours of operation, and that photograph shall remain posted until the animal is disposed of as provided in subsection (f) of this section. Most animal shelters have formal programs defining approved rescues and foster care providers. People who find animals are allowed to keep the animal upon agency approval. Rescues and foster care services are used when animal shelters are at or over capacity or long term care is needed for an animal. In any case, if the animal is not at the facility a picture of the animal must be displayed during the minimal holding period. Note there is no statutory law that requires a person who finds an animal to report or relinquish it to an animal officer. Local ordinances may address this. (iii) extend the period of time that the agent holds the animal on behalf of the shelter. A shelter may terminate an agency created under this subsection at any time by directing the agent to deliver the animal to the shelter. The local government or organization operating the shelter, as principal in the agency relationship, shall not be liable to reimburse the agent for the costs of care of the animal and shall not be liable to the owner of the animal for harm to the animal caused by the agent, absent a written contract providing otherwise. Agents of an animal shelter are not widely appointed. (1) Returned to the owner. (2) Adopted as a pet by a new owner. (3) Euthanized by a procedure approved by rules adopted by the Department of Agriculture and Consumer Services or, in the absence of such rules, by a procedure approved by the American Veterinary Medical Association, the Humane Society of the United States, or the American Humane Association. (ii) a signed written consent to the disposition of the animal before the expiration of the minimum holding period. (h) If the owner of a dog surrenders the dog to an animal shelter, the owner shall state in writing whether the dog has bitten any individual within the 10 days preceding the date of surrender. Care must be exercised when accepting a surrendered or relinquished animal. Animals are personal property; proof of identity and ownership must be firmly established. Complications can arise when former friends, partners or spouses attempt to surrender another’s animal. These persons along with landlords, superintendents and other property managers who do not legally own the animal can not legally give it to another. At times it is best to accept the animal along with the certifying signature and make efforts to locate the owner. Ownership can be reasonably established through a bill of sale, veterinary records, rabies vaccination certificates and similar animal records. Many animal owners visit shelters with no documented proof of ownership. “Some proof” may include a picture of the animal with the owner and/or statements from family, friends or neighbors. When faced with an owner having no proof, knowledge of animal behavior can be used to help determine if the animal itself can “ID” an owner. It is not advised to use how the reaction of a dog or cat to a person alone but it can help you determine some proof. Here is a fun video of a dog identifying his owner. acknowledgement the animal may be euthanized. Many surrender forms and computerized processes record the name, address and identification of the person surrendering an animal. Many animal shelters provide humane euthanasia for owned pets. A signed surrender form with the information stated above must be obtained before the animal is admitted and euthanized. (ii) Only issued to North Carolina residents. Other forms of government issued identifications are not state specific. (iv) a passport. Upon presentation of the required photographic identification, the shelter shall document the name of the person, the type of photographic identification presented by the person, and the photographic identification number. (1) The date of impoundment. (2) The length of impoundment. (3) The disposition of each animal, including the name and address of any person to whom the animal is released, any institution that person represents, and the identifying information required under subsection (i) of this section. (4) Other information required by rules adopted by the Board of Agriculture. Other required information is found in 02 NCAC 52J .0101 RECORDS; ANIMAL SHELTERS. Animal shelters generally receive warning letters prior to assessment of a penalty. A high percentage of penalties are issued as a result of poor record keeping, euthanasia violations and physical facility failings. Regulations are authorized by §19A-24 Powers of Board of Agriculture and found in Chapter 52, Veterinary, Title 2 of the Administrative Code. The regulations address animal care, sanitation, employees, transportation, records and euthanasia. We will review the regulations in detail. Animal shelters, boarding kennels and pet shops are routinely investigated by the Animal Welfare Section, unannounced, for compliance to the NCAWA and its regulations. Numerous jurisdictions have been issued warning and fines of several thousand dollars for violations of the regulations of the NCAWA. All inspections are posted online and available to the general public are found here. 02 NCAC 52J .0101 RECORDS; ANIMAL SHELTERS, ETC. (5) record of veterinary care including treatments, immunization and date, time, description of medication (including name and dosage), and initials of person administering any product or procedure. Attention to record keeping cannot be over emphasized. Animal officers are very busy and many rush through documentation. Most issues, violations, complaints and failure to follow procedures are a result of poor record keeping. Take the time to document. Origin: Location where the animal was captured or picked up, surrendered at the animal shelter, etc. Description: A professional animal officer will have a general knowledge of animal colors and markings. A “patchy tri-colored” cat is better described as calico. A “brown and black striped” dog is better described as brindle. Information regarding colors and markings of dogs and cats would entail a course of study in its own right. You can become professionally proficient in describing animals by further study and taking advantage of the opportunity each animal presents to you. Consigner: A person or business who delivers the animal. As discussed in ​§19A‑32.1, any animal determined to be unadoptable by reason of health or injury should have a record of veterinary care. All operators of animal shelters, pet shops, boarding kennels, public auctions, and persons operating as dealers shall make all required records available to the director or his authorized representative on request, during the business and cleaning hours listed on the license application. The operator must be able to match each animal to its record upon request. Records shall be maintained for a period of one year after the animal is released. The destruction period of one year is also noted in the Public Records section. See Retention Schedule. Field animal officers routinely impound dogs and cats and are the first, perhaps the only, contact the agency will have with an owner or other person in connection with an animal’s information required by the NCAWA. While many agencies have dedicated animal shelter staff who may receive the information, the quality of the field officer’s documentation is important and reflects on the agency as a whole. Poor record keeping and disorganized filing is one of the most common violations of regulation. ​This portion of the NCAWA elaborates further from §19A-23. Definitions. (1) "Accessories" means any objects used in cleaning and sanitizing primary enclosures, exercise areas, or objects to which an animal may have access, including, but not limited to toys, blankets, food and water utensils, and bedding. (2) "Adequate" means a condition which, when met, does not jeopardize an animal's comfort, safety or health. (3) "Cage" means a primary enclosure which is enclosed on all sides and also on the top and bottom. (4) "Husbandry" means the practice of daily care administered to animals. (5) "Isolation" means the setting apart of an animal from all other animals, food, and equipment in the facility for the sole purpose of preventing the spread of disease. (6) "License period" means July 1 through June 30. (7) "Long term care" means the housing of an animal for a period of more than 30 consecutive days. (8) "Properly cleaned" means the removal of carcasses, debris, food waste, excrement, or other organic material with adequate frequency. (9) "Social interaction" means friendly physical contact or play between animals of the same species or with a person. (10) "Suitable method of drainage" means drainage that allows for the elimination of water and waste products, prevents contamination of animals, allows animals to remain dry, and complies with applicable building codes and local ordinances. (11) "Supervision of animals" means one person (at least 16 years of age) present, at all times, able to directly view each enclosure or common area. Most animal officers do not oversee the construction or repair of an animal facility, however, it is well within your responsibility to have a general knowledge of facility regulation and to report any perceived shortcomings or violations. (a) Housing facilities for dogs and cats shall be structurally sound and maintained in good repair to protect the animals from injury, contain the animals and restrict the entrance of other animals and people. (b) All light fixtures and electrical outlets in animal areas shall be in compliance with the State Building Code. (c) Facilities shall have reliable and safe electric power as necessary to comply with the Animal Welfare Act. (d) Supplies of food and bedding shall be stored in facilities which adequately protect such supplies against infestation or contamination by vermin and insects. All open bags of food shall be stored in airtight containers with lids. Refrigeration shall be provided for supplies of perishable food. (f) Hot and cold running, potable water must be available. Facilities such as washroom, basin or sink shall be provided to maintain cleanliness among animal caretakers, animals, and animal food and water receptacles. (g) Each facility shall have the ability to confirm ambient temperature. (h) A separate five-foot perimeter fence is required if any animals have access to an outdoor enclosure, including unsupervised exercise areas. (i) An adequate drainage system must be provided for the housing facility. (j) All areas of a facility are subject to review or inspection by North Carolina Department of Agriculture and Consumer Services employees during normal business hours (8:00 a.m. through 5:30 p.m. Monday through Friday). (k) All animals in a facility are subject to the requirements of the Animal Welfare Act, regardless of ownership. (l) A licensee or registrant shall comply with all federal, state and local laws, rules and ordinances relating to or affecting the welfare of dogs and cats in its facility. (m) No dog or cat shall be in a window display except during business hours and then only in compliance with standards set forth in this Section. Ambient: Relating to the immediate surroundings of the animal. (a) Indoor housing facilities for dogs and cats shall be adequately heated and cooled when necessary to protect the dogs and cats from cold and excessive heat and provide for their health and comfort. The ambient temperature shall not be allowed to fall below 50 degrees F. or exceed 85 degrees F.
Thermometers or other temperature reading devices should be placed in every animal room. (b) Indoor housing facilities for dogs and cats shall be adequately ventilated to provide for the health and comfort of the animals at all times. The facilities shall be provided with fresh air either by means of windows, doors, vents or air conditioning and shall be ventilated so as to minimize drafts. Air flow shall be adequate to minimize odors and moisture condensation. Poor ventilation increases disease risk and retains odors. A well ventilated room will reduce workloads, the need for unnecessary veterinary care and avoids poor public reception. ​(c) Indoor housing facilities for dogs and cats shall have adequate illumination to permit routine inspections, maintenance, cleaning and housekeeping of the facility and observation of the animals. Illumination shall provide regular diurnal lighting cycles of either natural or artificial light, uniformly diffused throughout the animal facilities. Poor lighting is a safety risk for people and animals. A common error is to turn off animal room lights when leaving the room. This disrupts the diurnal cycle. (d) Interior building surfaces of indoor facilities with which animals come in contact shall be constructed and maintained so that they are impervious to moisture, and can be readily sanitized. Absorbable materials retain moisture, odor, bacteria, fungi, cannot be disinfected and generally look unprofessional and unappealing. Animals are not to have the ability to come into contact with wood. (e) A suitable method of drainage shall be provided to rapidly eliminate excess water from an indoor housing facility. If closed drain systems are used, they shall be equipped with traps and installed to prevent odors and backup of sewage. The drainage system shall be constructed to prevent cross-contamination among animals. Water should not be able to cross from one kennel to another. (a) In outdoor facilities that are subject to the Animal Welfare Act, primary enclosures and walkways with which an animal comes in contact shall be constructed of sealed concrete or other surfaces impervious to moisture. Gravel may be used if maintained at a minimum depth of six inches and kept in a sanitary manner. (b) Dogs and cats kept outdoors shall be provided housing to allow them to remain dry and comfortable during inclement weather. Housing shall be constructed of material which is impervious to moisture and which can be disinfected. One house shall be available for each animal within each enclosure except for a mother and its unweaned offspring. (c) In addition to housing, the enclosure shall provide protection from excessive sun and inclement weather. (d) Animal owners shall be advised at the time of reservation and admission if the animal will be kept in outside facilities. (e) A suitable method of drainage shall be provided. Animals in outside areas (exercise, etc.) are to be provided with a covering for shade, protection from rain and wind. Gravel is more labor intensive to keep sanitary, requires frequent renewal, spreads easily out from the area and can cause damage to other surfaces and to animals if they injest it. Flooring is to be kept dry. Unweaned: A young mammal not accustomed to food other than its mother's milk. Weaning is a transitioning process of introducing solid food. (a) Primary enclosures shall be constructed so as to prevent contamination from waste and wastewater from animals in other enclosures. All surfaces with which an animal comes in contact shall be impervious to moisture. For primary enclosures placed into service on or after January 1, 2005, no wood shall be within the animal's reach. For primary enclosures in use in a licensed or registered facility prior to January 1, 2005, any damaged wood must be replaced in a manner that does not permit contact with wood by the animal. (b) Primary enclosures for dogs and cats shall be structurally sound and maintained in good repair and in a manner to prevent injury to animals and keep other animals out. Primary enclosures shall be constructed so as to provide space to allow each dog or cat to walk, turn about freely, and to easily stand, sit, or lie in a natural position. The height of a primary enclosure other than a cage shall be no less than five feet. All enclosures shall be constructed to prevent the escape of animals. (c) Each primary enclosure shall be provided with a solid resting surface or surfaces adequate to comfortably hold all occupants of the primary enclosure at the same time. All resting surfaces must be of a non-porous or easily sanitized material, such as a towel, or a disposable material such as newspaper. The resting surface or surfaces shall be elevated in primary enclosures housing two or more cats. (d) In addition to Paragraph (b) of this Rule, each dog shall be provided a minimum square footage of floor space equal to the mathematical square of the sum of the length of the dog in inches, as measured from the tip of its nose to the base of its tail, plus six inches, then divide the product by 144. (length of dog in inches + 6) x (length of dog in inches + 6) = required floor space in square inches. Required floor space in square inches ÷ 144 = required floor space in square feet. The calculation shall be expressed in square feet. 1156”/144 = 8.02 square feet required for minimal housing space. ​Not more than four adult dogs shall be housed in the same primary enclosure without supervision. (e) If more than four dogs are housed in a common area or enclosure, then there must be at least one person supervising each 10 dogs housed within each enclosure or common area. (f) In addition to Paragraph (b) of this Rule, each feline older than six months housed in any primary enclosure shall be provided a minimum of four square feet of floor space which may include elevated resting surfaces. Each feline younger than six months shall be provided 1.5 square feet. Not more than 12 cats shall be housed in the same primary enclosure. Broken wires, bars should be repaired as they occur. Cages and kennels that are easily opened by the animal should be locked or adjusted to keep the animal contained. Crowded kennels and cages leads to additional animal stress, fighting and greatly increases disease risk. (a) Dogs and cats shall be fed at least once each 24-hour period except as otherwise might be required to provide adequate veterinary care. Food shall be commercially prepared food which complies with laws applicable to animal feed or the food shall be provided by the owner. The food shall be free from contamination, wholesome, palatable, and of adequate quality and quantity appropriate for the given size, age, and condition of an animal to meet the daily requirements for nutritional value. Puppies and kittens less than six months of age shall be fed at least twice in each 24-hour period. An eight-hour interval between feedings is required if only two feedings are offered in a 24-hour period. (b) Food receptacles shall be accessible to all dogs or cats and shall be located so as to minimize contamination by waste. For every adult animal, there must be at least one food receptacle offered. Food receptacles shall be durable and shall be kept clean and sanitized. Damaged receptacles shall be replaced. Disposable food receptacles may be used but must be discarded after each feeding. (c) Food and water receptacles in outdoor facilities shall be protected from the elements. Kittens and puppies should be fed puppy and kitten food. Adult and senior animals should be fed food prepared for their age range. Steel receptacles are easily sanitized and stored and cannot be chewed or destroyed by (most) animals. Destructive chewing can be addressed with environmental enrichment and stress reduction. Scheduling and a lack of staffing can be difficult for some agencies to comply with 02 NCAC 52J.0205 (a) regarding the feeding of young animals. As a regular work day typically spans 8 hours, feeding at the beginning and end of a shift should be sufficient. Proper storage of food supplies can eliminate contamination. As southern summers bring high heat and humidity and many animal shelters buy in bulk; arrangements for dehumidification and cooling may be required. Animal food recalls should be monitored. There are options for animal husbandry staff to subscribe to email alerts. Animals shall have continuous access to fresh water, except as might otherwise be required to provide adequate veterinary care. Watering receptacles shall be durable and kept clean and sanitized. Damaged receptacles shall be replaced. Provision of continuous water requires diligent shelter staff. Some animal shelters in the past have used a “lixit” type of water supply although the disinfection proved time consuming or impractical. Some shelters have installed a continuous water delivery system, while others use gravity fed receptacles while still others use basic receptacles and fill them as needed. Having water readily and easily available in all animal rooms is advised. If water containers are used, sanitize them on a regular basis. ​Some animals will eliminate in their receptacles. Raising the receptacle and/or providing disposable food receptacles can avoid contamination. One of the most important aspects of animal facilitation is sanitation. Good sanitation practices improves the health of the animals and people in and visiting the shelter, decreases disease transmission, improves public relations and increases adoption. Staff performing this important task are generally the busiest and the lowest paid; they should be recognized positively by animal officers. Sanitation staff will know the animals better than most and can assist you in evaluating behaviors and are generally the first to observe illness and behavioral abnormalities. (a) Waste shall be removed from primary enclosures and exercise areas to prevent contamination of the dogs or cats contained therein and to reduce disease hazards and odors. Enclosures and exercise areas for dogs and cats must be properly cleaned a minimum of two times per day. The animal must be able to walk or lie down without coming in contact with any waste or debris. When a hosing or flushing method is used for cleaning an enclosure, dogs or cats contained therein shall be removed during the cleaning process, and adequate measures shall be taken to protect the animals in other such enclosures from being contaminated with water and other wastes. ​(1) Prior to the introduction of dogs or cats into empty primary enclosures previously occupied, enclosures and accessories shall be sanitized in the manner provided in Subparagraph (b)(3) of this Rule. (2) In addition to primary enclosures being properly cleaned a minimum of two times per day, enclosures and accessories shall be sanitized a minimum of once every seven days in the manner provided in Subparagraph (b)(3) of this Rule if the same animal is housed in the same enclosure more than seven days. (C) cleaning all soiled surfaces with live steam. (4) Food and water receptacles shall be sanitized daily with hot water, detergent, and disinfectant. (5) Soiled linens and cloth products shall be mechanically washed with detergent and sanitized. (6) Any area accessible to multiple animals shall be kept clean and sanitary. (c) Premises (buildings and grounds) shall be kept clean and in good repair in order to protect the animals from injury and to facilitate the prescribed husbandry practices set forth in this Rule. Premises shall remain free of accumulations of trash, junk, waste products, and discarded matter. Weeds, grasses, and bushes must be controlled so as to facilitate cleaning of the premises and to improve pest control, and to protect the health and well-being of the animals. (d) An effective program for the control of insects, ectoparasites, and avian and mammalian pests shall be established and maintained. ​Cleaning: removal of unwanted substances. Sterilize: destruction and removal of all living organisms. Disinfect: destruction of all vegetative cells (not spores). Sanitize: reduction of microorganisms injurious to health to a practical minimum. Ectoparasite: External parasites. “ecto” as in exterior, “endo” is interior. Messy facilities and soiled enclosures prompt complaints from visitors. Most animal shelters remove animal waste at the beginning and end of the business day. It is advised that waste is removed as needed throughout the day. Kennels and other enclosures must be sanitized at least every 7 days. For the removal of dogs from kennels for flushing many animal shelters keep one clean kennel open and move a dog into the clean kennel and clean the kennel emptied. When no additional kennels are available, use of an exercise area or tethering the dog while cleaning can be considered. While cleaning cat enclosures many shelters have 2 compartment cages and the cat may be moved to the second compartment while the first is being spot cleaned or disinfected. It is advised to keep cats in the same enclosure throughout their stay. If flushing is required for cat enclosures, cats can be moved into kennel cabs or other small enclosures while their enclosure is being cleaned. Rule of thumb: Always move animals only into sanitized kennels or cages. Many agencies employ commercial pest control companies for pest control. Review this informational slide show file below regarding sanitation. The presentation also includes links for further information for best practices. Knowledge of common disinfectants and their dilutions used in animal shelters are listed in the file below. An indepth educational file about disinfectants, their chemical composition and uses in animal facilities are in the file below. A sufficient number of employees shall be utilized to maintain the prescribed level of husbandry practices set forth in this Rule. Such practices shall be under the supervision of an animal caretaker who has a background in animal husbandry or care. Lack of adequate staffing results in numerous violations of the NCAWA; from sanitation to general animal husbandry. Many animal control/service agencies are understaffed and cross training is advised to avoid poor quality services and public complaints. The National Animal Control Association (NACA) provides a very useful and credible tool for calculating minimal animal shelter staffing. This formula does not include field service staffing. The time animal officers who have duties in animal care should be assessed and any adjustments should be made regarding the time spent on each animal. (a) A written program of veterinary care to include disease control and prevention, vaccination, euthanasia, and adequate veterinary care shall be established with the assistance of a licensed veterinarian by any person who is required to be licensed or registered under the Animal Welfare Act, Article 3 of Chapter 19A of the General Statutes. (b) If there is a disease problem that persists for more than 30 days at the facility, the facility operator shall obtain and follow a veterinarian's written recommendations for correcting the problem. (c) Each dog and cat shall be observed daily by the animal caretaker in charge, or by someone under his direct supervision. Sick or diseased, injured, lame, or blind dogs or cats shall be provided with veterinary care or be euthanized, provided that this shall not affect compliance with any state or local law requiring the holding, for a specified period, of animals suspected of being diseased. If euthanasia is performed at a certified facility, a list of personnel approved to perform euthanasia shall be maintained in a Policy and Procedure Manual as described in 02 NCAC 52J .0800. Diseased or deformed animals shall be sold or adopted only under the policy set forth in the "Program of Veterinary Care." Full written disclosure of the medical condition of the animal shall be provided to the new owner. (d) All animals in a licensed or registered facility shall be in compliance with the North Carolina rabies law, G.S. 130A, Article 6, Part 6. However, no shelter shall be disapproved following inspection or otherwise cited for failure to inoculate any dog or cat known to be less than 12 weeks old or until such animals have been in the shelter at least 15 days. ​Animal shelters must submit a written Annual to maintain licensure. Written veterinary care programs may include care to an animal before an animal is admitted to the animal shelter. As with many other aspects of animal services, the subject of animal shelter veterinary care is vast, however animal officers should have a working knowledge of animal first aid and render aid when needed before transport. First aid may simply be comprised of restraining an animal to alleviate pain and prevent further injury or may require more advanced assistance to stop blood loss, stabilize broken bones, adjusting core body temperature, etc. The link below will take you to the AVMA pet first aid quick sheet to get you started. Animal shelter health records should include the health and veterinary care for each animal. Whenever veterinary treatment is rendered to any animal it must be recorded. Copies of the animal veterinary record must be provided to a new owner. Animals must be at least 12 weeks old before they can be properly vaccinated against rabies. Animal officers should have in their information network, a veterinarian who they can contact for instruction or an emergency veterinary clinic available after hours. Most violations were due to poor record keeping and failure to adhere to the Program of Veterinary Care. (a) Vehicles used in transporting dogs and cats shall be mechanically sound and equipped to provide fresh air to all animals transported without harmful drafts. (b) The animal cargo space shall be constructed and maintained so as to prevent engine exhaust fumes from getting to the animals. (c) The interior of the animal cargo space shall be kept clean. It shall be sanitized as deemed necessary. Fresh air can be provided by opening animal containment vents or by forced air, however 02 NCAC 52J .0302 PRIMARY ENCLOSURES USED IN TRANSPORTING DOGS AND CATS mandates a temperature control mechanism. If the temperature is not within the approved range, open vents will not comply. 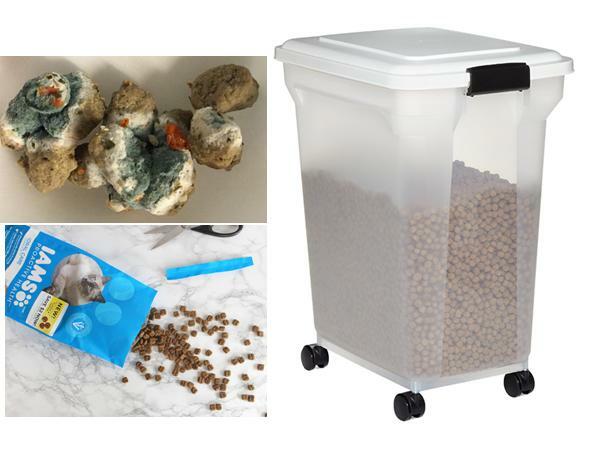 Clean animal compartments after each use. It is advised to sanitize the animal cargo space at least once daily. The NCAWA regulations speak to animals only and the animals aren’t safe if you aren’t. Animal officers spend a great deal of time on the road and defensive driving is the best way to keep you safe. Road conditions, radio traffic and phone calls can distract you. ​Defensive driving is anticipating problems and responding ahead of time so that you can protect yourself and others from dangerous and unexpected driving situations. If you have not received any defensive driving training or feel you would benefit from it, make a request to your supervisor or Human Resources manager. Perform a vehicle safety check daily. ​Most agencies have a vehicle maintenance program along with a safety check and inventory list. Trumbull, CT - ACO struck and killed by a passing vehicle while tending to an injured dog. Pasco County, FL - ACO dies in motor vehicle accident, only been on the job a year. Lexington, KY - ACO struck by a car while tending to an injured dog, officer and dog dies the next day. Outside of Chicago, IL - Off duty ACO struck and killed by a vehicle while tending to an injured dog. Sioux City, IA - ACO struck and killed by a passing vehicle while removing a dead animal from the highway. Biloxi, MS - ACO struck and killed by a train while chasing a dog. Wayne County, NC - Sheriff's Deputy dies being struck by a vehicle while moving an injured deer. Portland, ME - ACO dies of heart attack after catching a dog he chased for three hours. Philadelphia, PA - Shelter worker killed in traffic accident after dropping off animals, other vehicle went over center, crashed head on into the animal control truck. Foster, CA - Director of animal rescue group and two dogs are killed when their vehicle is struck head on by a tractor trailer. Gainesville, FL - Shelter worker killed in motor vehicle accident in front of the shelter after returning from a county meeting. Hardeman County, TN - ACO killed when his vehicle left the road and overturned on the way to a call. (1) Each animal in the vehicle has sufficient fresh air for normal breathing. (2) The openings of such enclosures are easily accessible for emergency removals at all times. (3) The animals are adequately protected from the elements. The ambient temperature shall be maintained between 50 degrees F and 85 degrees F. A shelter shall be deemed as being in compliance if its vehicles' animal containment units are equipped with operable air-conditioning, forced-air cooling and heating or other temperature control mechanisms. (b) Animals transported in the same primary enclosure shall be of the same species. Puppies or kittens less than four months of age shall not be transported in the same primary enclosure with adult dogs and cats other than their dams. (c) Primary enclosures used to transport dogs and cats shall be large enough for each animal to turn about freely, and to easily stand, sit, or lie down in a natural position. Primary enclosures used to transport dogs and cats shall be secured to the vehicle to prevent sliding or tipping of the enclosure during transit. (d) Animals shall not be placed in primary enclosures over other animals in transit unless such enclosure is constructed so as to prevent animal excreta from entering lower enclosures. (e) All primary enclosures used to transport dogs and cats shall be sanitized between use for shipments. The regulations are self explanatory and most agencies maintain vehicles that meet the requirements. Note that while transporting animals, temperature limits and space requirements reflect facility regulations. Violations due to lack of temperature control and sanitation. (1) The vehicle shall stop at least once every 12 hours for a period of one hour. During the one hour stop, potable water shall be continuously provided for dogs and cats. (2) Adult dogs and cats shall be fed at least once during each 24 hour period. Puppies and kittens less than six months of age shall be fed every six hours. (3) Dogs shall be removed from the vehicle, given fresh water and given the opportunity for exercise if they have been confined in the vehicle for 36 hours. Few, if any animal officers hold animals on the vehicle longer than a few hours. It is advised to deliver animals as soon as is possible to the animal shelter. Other licensed organizations may transport animals and while in North Carolina, transportation regulations would apply. No violations have been recorded for government agencies. It shall be the responsibility of the attendant or driver to inspect animals frequently enough to assure health and comfort and to determine if they need emergency care and to obtain it if needed. Animal transportation is a routine daily function. Sick, injured or ill animals along with weather conditions may require an inspection while in transit.